Home / Hair • Lifestyle • PJ Alert • Straight Hair / Do Hair Straightening Brushes Really Work? 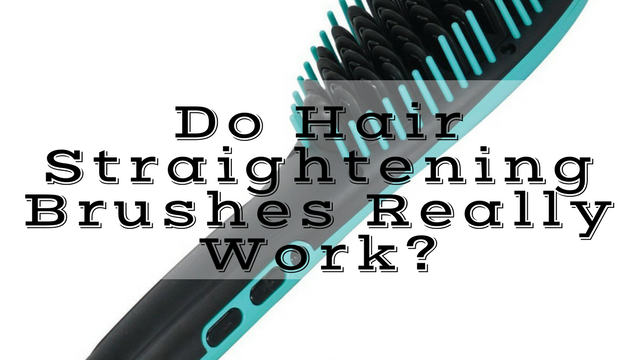 Do Hair Straightening Brushes Really Work? never got round to trying it but recently started researching this product again and came across some great information that every curlista should know before making a decision to add a hair straightening brush to her regimen. 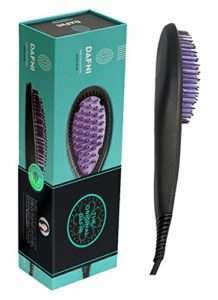 A hair straightening brush is a brush and straightening function bundled together in one product. 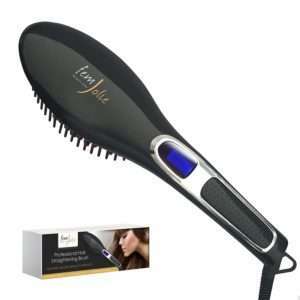 It’s designed to straighten hair faster and with less heat than a traditional flat-iron. It sounds like the next hair gimmick to get PJs out there all wound up but it does have a lot going for it. Additionally, it detangles and leaves hair shiny. 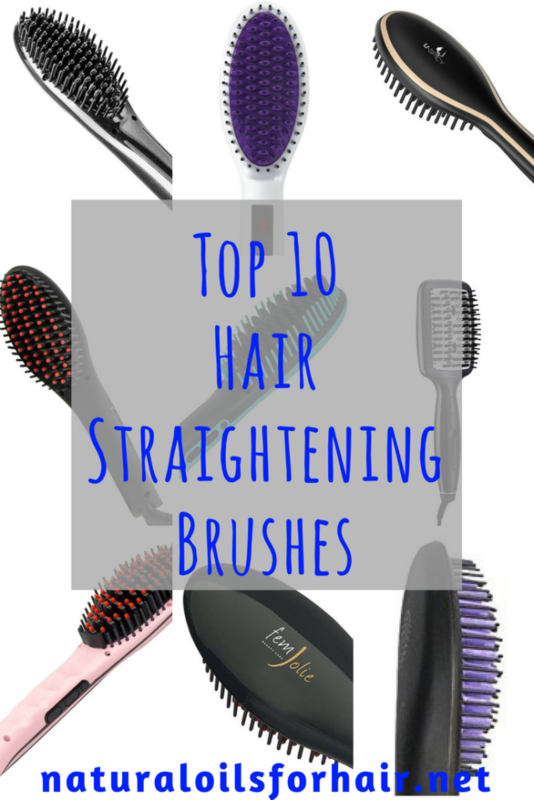 Getting your hair done in less time sounds like a winner to me but hair straightening brushes are still heat styling devices so let’s breakdown the pros and cons. Are you familiar with the burnt smell sizzle from a flat-iron as you work it through your hair? You have none of that with the hairbrush straightener. The hair straightening brush won’t leave creases in your hair same way a flat-iron can. You don’t have to run it through your hair as many times as you would a flat-iron. Handy size and lightweight so can go anywhere with you. Several temperature control settings so you can easily manage the heat levels. 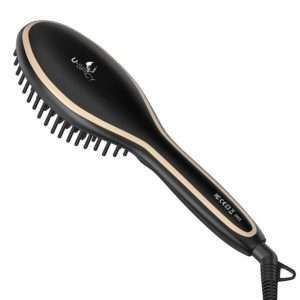 While the pros make the hair straightening brush sound incredible, there are some cons to consider as well especially if your hair type is 3C – 4C. Don’t expect stick thin straight hair. The most you’ll get is smoothened out bouncy hair, which is perfect for creating braid outs or twist outs later on in the week. There have been reports of a few burnt fingers from handling the brush but no more than when you’re handling a flat-iron as well. Lots of patience required. 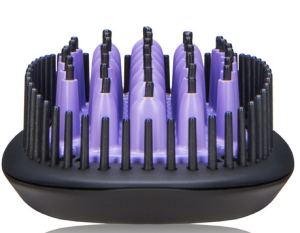 What to Look for When Choosing a Hair Straightening Brush? 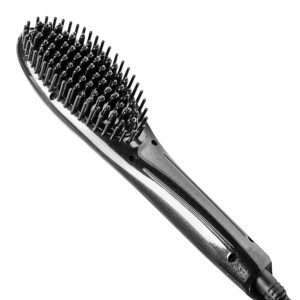 A good hair straightening brush should have ball tips. Ball tips prevent tangling and snagging. 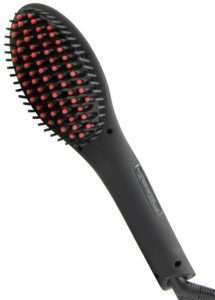 A great straightening brush should incorporate ceramic technology. It ensures there are no hot spots as you work it through your hair and lessens the chance of damage. 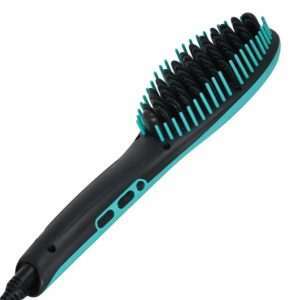 A good hair straightening brush should have nylon and boar bristles so you can work through hair without pulling it out. 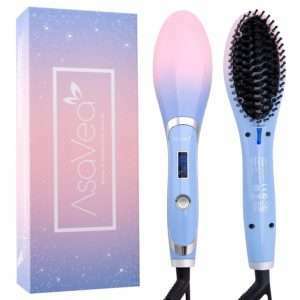 Choose hair straightening brushes with tourmaline or ceramic technology; advanced features that produce faster results and neutralizes the effects of positive ions. Not all brushes are created equal. Some are best suited for straighter and thinner hair types while others are better suited for curlier hair types. Your hair should be thoroughly detangled. Yes, even if the brush promises to detangle, you should still detangle yourself first. Make sure every knot and kink is worked out before you use the brush. Use the brush only on healthy hair. If you’re having hair issues, the brush will only make it worse. 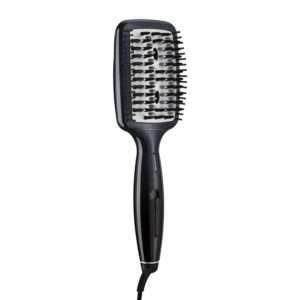 Hair should be clean and deep conditioned prior to using the hair straightening brush. If you come across a snap while using, stop and work out the snag with your fingers. Don’t try to force the brush through the snag. Some of your hair will come out with it. Use on slightly damp hair (about 85% dry) with a little bit of natural oils applied. You can also stretch your hair a bit first with banding or roller setting before you use the hair straightening brush. As with a flat-iron, work through small sections of hair at a time. Use in moderation. Repeated use of heat appliances will eventually cause damage in the long run. 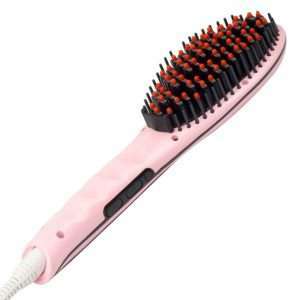 Which is the Best Hair Straightening Brush? There are many brands on the market but I have grouped the top 10 below based on popularity, feedback from previous customers and cost. Always use heat appliances in moderation. A few times a year should be fine but several times a month may be asking for trouble. I’m not familiar with this brand but will investigate it.